Stone Sour's Corey Taylor was recently interviewed by "Talk Is Jericho" and talked revealed more details about the next two Stone Sour EPs of covers, below you can read some excerpts. 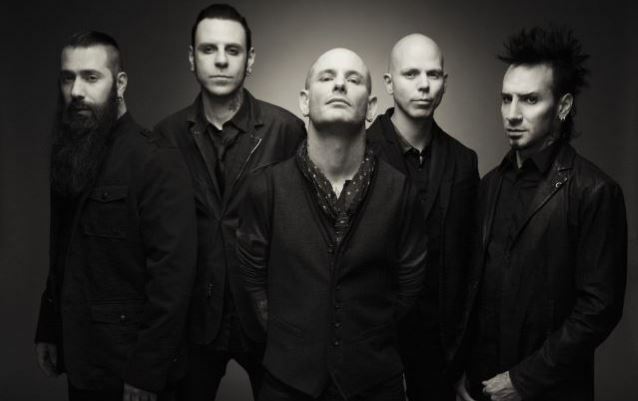 About why Stone Sour decided to release three separate EPs of covers, Taylor said: "This is something we've been talking about for years. And we decided, instead of putting it all on one, and trying to make that work, we were, like, 'Let's have fun with it.' It was kind of the same spirit of why we wanted to do 'em in the first place, is 'cause we wanted to have fun, just to kind of take the edge off, take the pressure off and just go in and have fun and kind of show the world what got us into making music in the first place. So we broke it up into three. That way, we could kind of play with the artwork, make it fun for the fans, and just have a good time with it. 'Cause we're making our nut on covers. But at the same time, when you do something like that, you wanna represent to the best of your ability. And by spacing it out and letting the fans get into five at a time, nothing gets lost in the shuffle. It just felt like by doing it that way, people would have time to digest each five before the next one comes on." About the "Burbank" tie-in in the titles of the three EPs, Taylor explained: "Burbank, California is where our drummer Roy Mayorga lives, and we did all the music in his home studio. So I was just, like, 'Dude, the title's gotta be, 'Meanwhile In Burbank…' And then it just became, like, 'How can we play on that?' 'No Sleep 'Till Burbank'… 'Straight Outta Burbank'… It was just hilarious. At one point, I wanted us to dress like a black metal band in his front yard and play volleyball. Because there's this giant palm tree in the front, and there's always sun and people walking their kids, or whatever, and we're dressed like Mayhem. And we didn't have time, 'cause bassist Johny Chow is out with Cavalera Conspiracy, and Roy's been doing some stuff. So we just didn't have that time where we were all in the same state. But I was, like, 'We've gotta remember that one, 'cause that could be rad.'"